here. 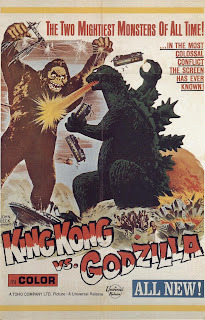 Some businessmen decide to kidnap Kong and pair him up with Godzilla. Big problem. Now that the election is over. Let's see how a real election would have been fought if both contestants were wearing rubber suits and had to duke it out. Not so tough, eh! ?